UPDATED – 4/7/19 – Hundreds of runners turned out from across the country for yesterday’s Salisbury Marathon. Runners were on the local roads till nearly 4pm – some in a bid to qualify for the New York or Boston marathons. The top marathon finisher hails from New York City – and finished in 2 hours 45 minutes and 15 seconds – the top local finisher is a Salisbury man who placed 5th. The half marathon was won by a man from Bel Air – the top local runner – taking 3rd place in the half – a 15 year old from Salisbury. 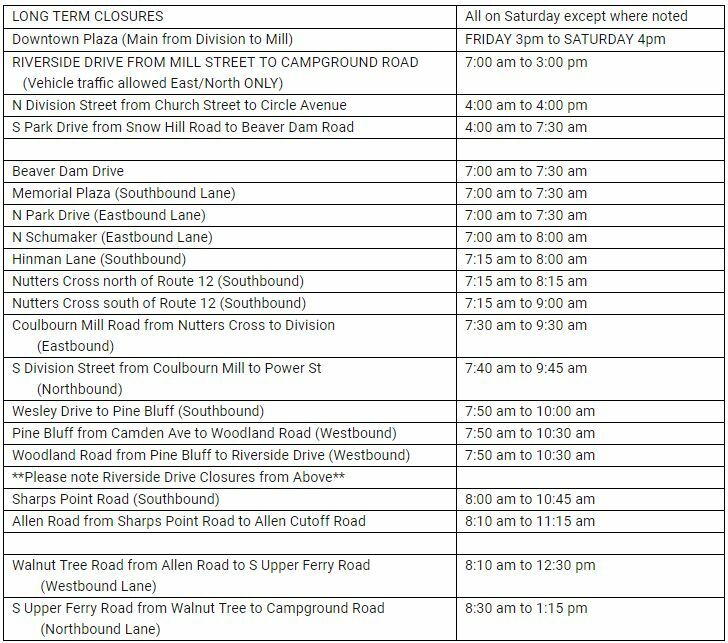 Salisbury residents planning on using the following routes should expect delays on Saturday, April 6 due to the Salisbury Marathon/Half-Marathon/#RunSBY 5k. Residents are encouraged to go to www.sbymarathon.com and look under the COURSES tab for a full turn-by-turn map of the race course. The course has been programmed in to the Waze traffic app and will re-route you to your destination, based on the current directional road closures. Please note, there are no complete road closures, only LANES of roads. The longer event will START at 7am at the Salisbury City Park and end in Downtown Salisbury. A 5k will start at 7:30 am from the Downtown Plaza and run up Riverside and return.